Our partners enable Position Business Ltd to focus on the key leverage for system change – managing the commercial power of brand ownership. Ernst & Young's Enterprise Growth Service Division provides highly skilled teams of up to five at discount to selected social enterprises, including the Position group. The first secondment of acting Chief Operating Officer to Position starts in the Autumn. Initial collaboration with WWF Switzerland led to Position’s design for Conservation Stewards Global (CS Global), now majority owned and managed by Position. Position Business Ltd is now planning with the WWF Markets Practice Team to advance Conservation Stewards Global. Oxfam has been engaged since August 2017 in bringing forward producers to benefit from ventures where Position Business Ltd manages the use of brand power to capture the largest possible share of retail value. The first collaboration will be on Conservation Stewards Global honey from Ethiopia and Honduras. Freuds works with Position to design public campaigns for raising consumer interest in products under brands owned by Position. 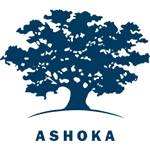 The Ashoka management are vigorous supporters of the Position business strategy as complementary to the hard work of many Ashoka fellows and their organisations working with producers. A number of Ashoka Support Network impact investors are determined to bring about system change. The African IP Trust was created to support African farmers and producers receive higher and more secure income and to uphold African IP rights when those rights are exploited. The African IP Trust is a highly credible organisation whose members leverage their networks to help African secure their rights. Principal Arthur Wood designed strategies for Position Business Ltd to access large scale financing based on the replicability of the use of brand power. Impact investment advisors led by Mark Cheng, engaged by Position to co-create investment documents and guide process with all initial angel and seed investors. Extensive collaboration on all investor due diligence materials. Managers of large social and environmental impact funds are participating in following Position progress over 2017-19, with a view to providing rollout funding from 2018 onwards, for 20 replications of EFC and 8 CS Global product businesses.